"Se potessero i sospir' miei"
This is major wow stuff. Franco Fagioli . . . is hardly the first countertenor to record Handel, but he is probably the biggest voiced and most versatile of the lot. Equally at home in the placid, verdant "Ombra mai fu" (Serse), for which he summons up his sweetest and most radiant voice, and the virtuosic "Venti, turbine, prestate" (Rinaldo), which he dispatches with a fury that rivals every countertenor and mezzo rendition you're likely to hear (including Marilyn Horne's), he is simply amazing . . . Fagioli also retains his roundness of tone while expressing fury at breakneck speed . . . [he] sounds as though he's just being himself. Not only is Fagioli's technique rock solid -- he can throw in more notes per second than just about anyone save for Cecilia Bartoli and intersperse them with trills -- but he also has an extraordinary range. On this disc, you will hear him dip way low, into his natural male voice, and then ascend up the scale without any noticeable range break until, in the aforementioned aria from "Rinaldo", he ventures into soprano territory. He is also capable of some of the longest breathed lines you're likely to hear from a countertenor . . . for the athletic stuff, Fagioli cannot be beat. Take a deep breath, play this recording, and prepare to be astonished. 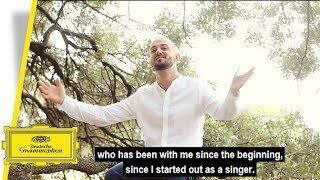 Franco Fagioli is the first countertenor to sign exclusively with Deutsche Grammophon. The first fruits of this relationship were exceptional. I admired his 2016 solo album, a collection of Rossini opera arias from the age of bel canto . . . [Handel Arias CD]: one senses that Fagioli is performing with felicitous sincerity and often a high level of intimacy. In "Cara sposa, amante cara" from "Rinaldo", Fagioli aptly conveys the hero's sadness and desolation after sorceress Armida abducted his fiancée Almirena. In Rinaldo's lament Fagioli is eminently tender, singing with a rare purity. In the aria "Scherza infida" from "Ariodante", Fagioli as Prince Ariodante sings with a heartfelt sincerity; the hero thinks that his sweetheart has betrayed him, and Fagioli expresses his sorrow and true despair. 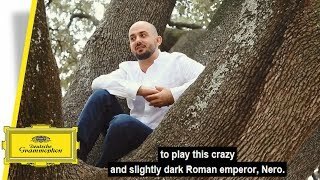 The enduringly popular aria "Ombra mai fu" from "Serse" (Xerxes) portrays King Serse in an uncommon love song showing his appreciation for the shade given by a plane tree. Fagioli renders it stunningly, with a notable ease. Highly virtuosic, Rinaldo's bravura aria "Venti, turbini, prestate" from "Serse" is a personal highlight. Here Fagioli provides an abundance of fiery boldness as the hero who plots his revenge as he summons the power of winds. The final track, Arsace's understated aria "Ch'io parta? Si, crudele" from "Partenope" is simply gloriously performed by Fagioli, intensely affecting. Remarkably, Fagioli can slide or float through his surprisingly broad range. He travels comfortably from the low notes of his chest register to his upper soprano register. The countertenor's well controlled ornamentation is striking, agreeable on the ear and pleasingly varied. This is agilely demonstrated in "Agitato da fiere tempeste" from "Oreste" and "Si in fiorito, ameno prato" from "Giulio Cesare" . . . [Il Pomo d'Oro] are on exceptional form. Seventeen strong, the fresh and lean playing is blended with striking accomplishment, making every note count. Admirably recorded, the sound has pleasing clarity and balance. I am delighted that full sung texts with English translations are provided in the booklet, and the essay 'Baroque Snapshots' written by Katherina Knees is reasonably informative. Franco Fagioli excels in a varied collection of Handel castrato arias. The disc deserves to be included in any collection of Baroque music.
. . . simply 80 minutes of great opera and all that that word encompasses, with deeply felt slow arias expressing grief or love sung with smooth, rounded tone and seamless legato, and wilder, fast arias, with their themes of vengeance or rage, spat out with sharp consonants. The latter need less "interpretation": their wide leaps, roulades, cascades of notes, and impressive ornamentation imply their themes, and if the singer is up to the technical challenge, the points are made. This is a great recital. Fagioli's rapid passagework has become his calling card . . . Serse's final aria, "Crude furie", is a showcase of hate and virtuosity, and Fagioli makes a huge meal of it; similarly, the same character's "Vente turbini", in which he calls upon the power of the wind to fan his vengeance, is a thrill a minute, a hip-hop ride through rage, with all its requisite vocal fireworks . . . The period-instrument band "Il Pomo d'Oro" led by Zefira Valova offers stunning playing -- stylish and superbly tuned. If you still have no time, patience for, or interest in countertenors after this, you may not really like great singing of any kind. Si Fagioli n'est pas un castrat mais un contre-ténor, sa voix n'en est pas moins incroyablement cristalline, puissante et déliée. Enumérer les artistes souvent estimables dont nous avons complètement oublié le récital haendélien s'apparenterait à une séance de name dropping tant la liste impressionne et donne le vertige . . . Franco Fagioli y évolue avec une aisance souveraine . . . Franco Fagioli prend plaisir à retrouver d'illustres héros dont il a déjà endossé le costume (Rinaldo, Giulio Cesare, Bertarido, Ariodante), variant habilement les humeurs au lieu d'alterner de manière trop systématique pyrotechnie et pathos . . .
. . . il y a dans l'agilité du chanteur argentin, sa couverture surnaturelle de trois octaves et sa présence irradiante, quelque chose qui le distingue de ses comparses dans ce même opéra baroque. C'est ce que vient confirmer l'ébouriffant album Haendel qu'il vient de publier (Handel Arias). On y retrouve, sublimés par une technique virtuose, des graves hiératiques et une rondeur de timbre rivalisant avec celui d'une mezzo, tous les tubes du genre, du "Scherza infida" d'Ariodante à "Ombra mai fu" de Serse. Le tout servi par l'excellent ensemble Pomo d'Oro . . .
. . . le gosier véloce du roi de la vocalise sur trois octaves ne le cède en rien à l'interprète féru d'une musicalité embrassant avec le même bonheur tous les registres expressifs . . . Entre virtuosité fiévreuse ("Agitato da fiere tempeste" d'"Oreste") et sereine élégie (le "Serse" du fameux "Ombra mai fu"), Fagioli déploie un art qui force l'admiration: une incroyable longueur de souffle, une richesse exceptionnelle du legato, une palette étourdissante de couleurs et de nuances, sans oublier la maîtrise virtuose des ornements comme dans le "Cara sposa, amante cara" de Rinaldo. Le "Broadway baroque" de Haendel -- Fagioli dixit -- a trouvé son Fred Astaire vocal.
. . . [c'est le meilleur album de Franco Fagioli, sans doute,] si l'on en juge à l'interprétation d'une des scies haendeliennes, "Ombra mai fu", à laquelle le contre-ténor parvient à donner un nouveau relief . 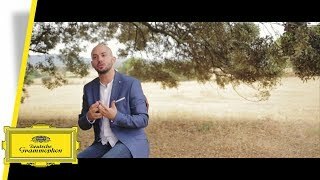 . . une des voix les plus fascinantes qui soit aujourd'hui.
. . . l'argentin Franco Fagioli réalise une belle prouesse . . . Fagioli s'affirme avec cran et panache même, capable mieux que ses confrères, d'incarner sur la scène un caractère . . . Ici, le chanteur fait montre de ses possibilités chez Haendel . . . En verve, pulpeux, gras, le grain de sa voix, qui évoque le mezzo de Cecilia Bartoli sait fusionner agilité et colorature, mais aussi épaisseur psychologique, comme en témoignent les deux airs d'"Ariodante" . . . Plus introspectif et d'une gravité soudaine presque hallucinée, son "Cara sposa" de Rinaldo éclaire la lyre hallucinée, vaincue d'une âme amoureuse . . . Bel accomplissement et confirmation d'une réelle sensibilité dramatique.
. . . [un vaste parcours handélien] très impressionnant . . . Partout, le rapport entre l'agilité du muscle vocal et la densité (sur toute la tessiture) d'un timbre cuivre, saisit l'oreille . . . Le sommet de l'album vient avec le défilé acrobatique de "Sento brillar nel sen" . . . flamboyant mais élégant. 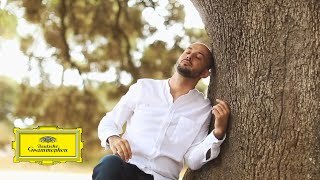 Listen to “Ombra mai fu” from Serse of Franco Fagioli’s new album, “Handel Arias”. Recorded with specialist period-ensemble Il pomo d’oro, Fagioli presents a stunning – and very personal – selection of his favourite arias, revealing his deep veneration for the great Baroque composer. For his album ‘Handel Arias’, Argentinian countertenor Franco Fagioli has mined the riches of the composer’s works to assemble twelve of his favourite arias. Recorded with specialist period-ensemble Il pomo d’oro, the album features highlights such as ‘Ombra mai fu’ from Serse or the bravura aria ‘Venti turbini’ from Rinaldo alongside miniature gems such as the radiant, ethereal ‘Ch’io parta?’ from Partenope, or ‘Dopo notte’ from Ariodante, which basks in a golden light. 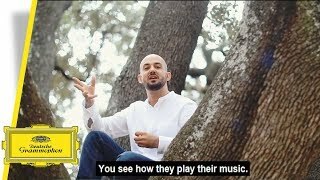 "In order to do classical music, we need to transmit what is inside us," says Franco Fagioli and explains that he gets inspiration from a lot of different kinds of music. Franco Fagioli - Handel Arias - Funniest Musical Experience (Trailer) TO GO LIVE 30.1. Vivaldi or Handel? Solo or Ensemble? Learning or teaching? 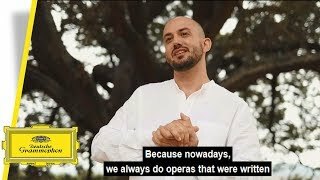 Get to know Franco Fagioli better as he plays a quick Q&A with us. His new album features Fagioli’s personal selection of twelve favourite arias from Handel’s rich and colourful operatic world, so you might be able to answer the first question yourself.